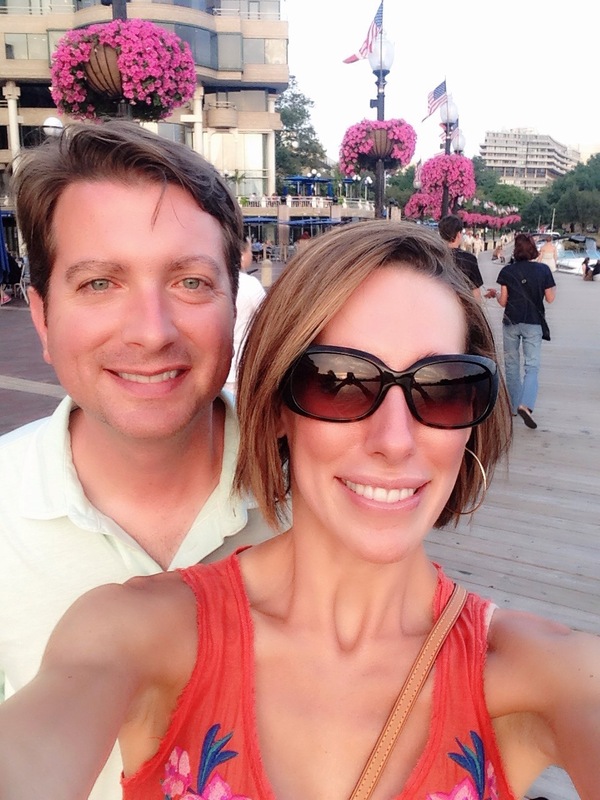 We booked an afternoon flight so we could enjoy just a little more time in the city. Breakfast of champions! Have you detected a trend? I’m nothing if not predictable. 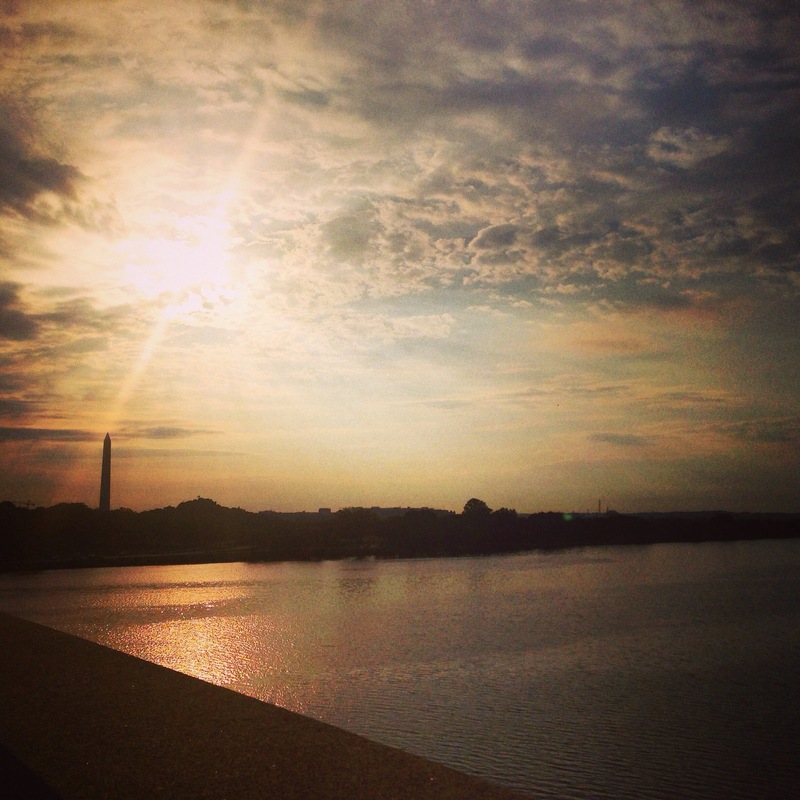 We opted for biking this morning and got to witness this beautiful sunrise on the bridge to Arlington! Arlington National Cemetery. I was humbled by the sea of headstones. I didn’t want to take pictures out of respect, but in a strange way…it was a beautiful and peaceful place. We continued our ride along the river to the Chesapeake and Ohio Canal National Park and onto the Crescent Trail. 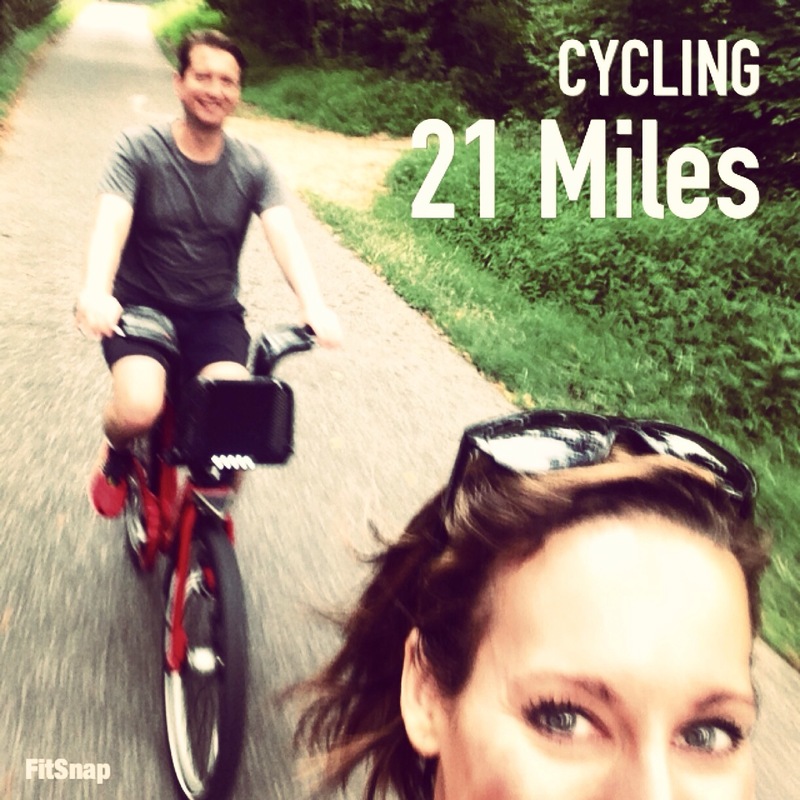 It was full of legit cyclists…then there were these two goofballs! 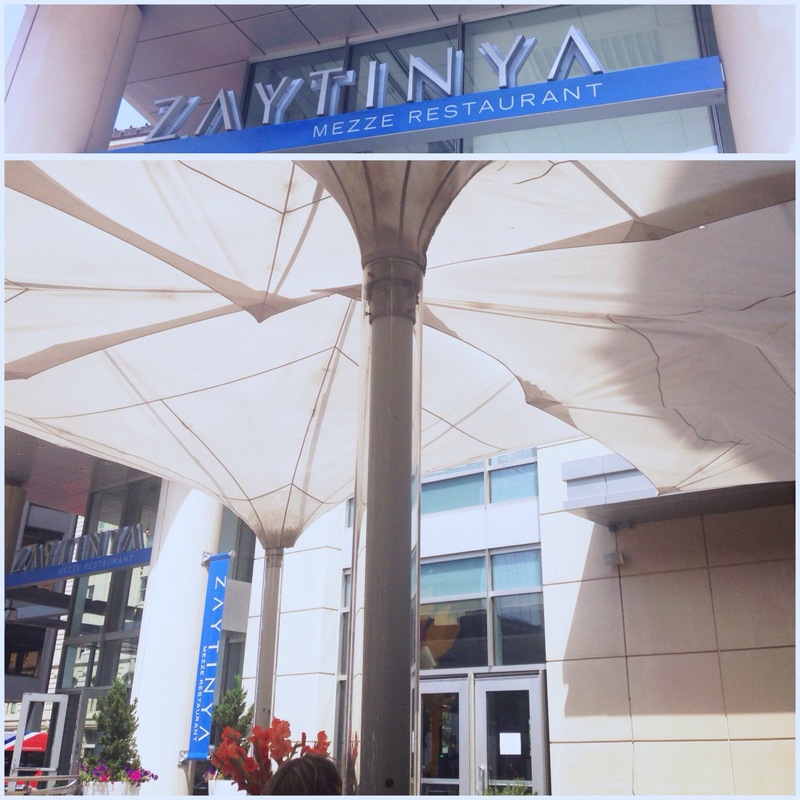 Before the airport, we stopped for lunch at Zaytinya. It’s a Mediterranean tapas restaurant. The weather was gorgeous, so we dined on the patio that had these great parachute-like umbrellas. 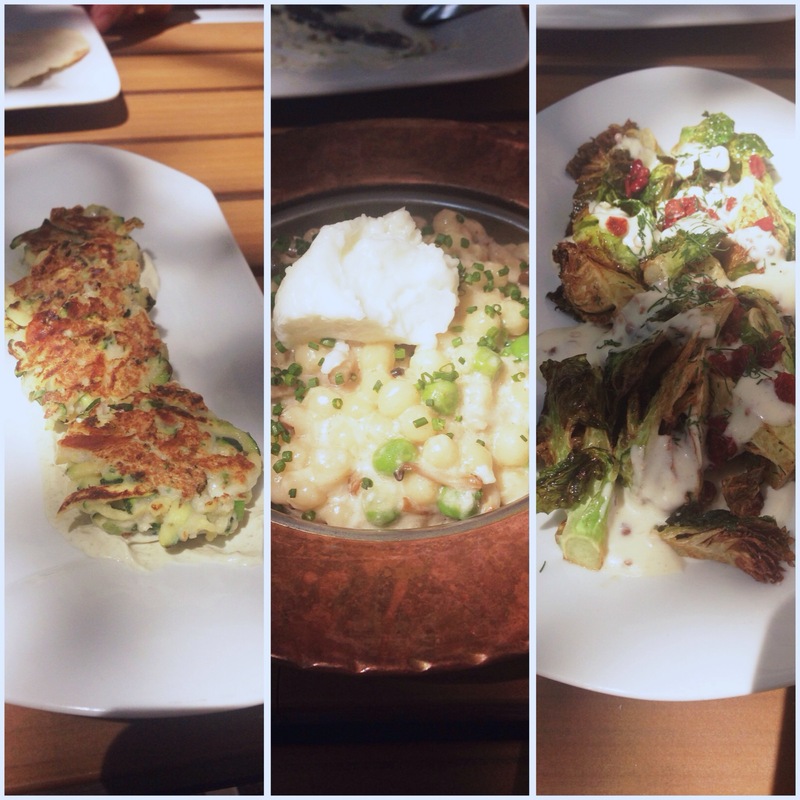 This ended up being one of my favorite meals…so glad we were able to squeeze it in! 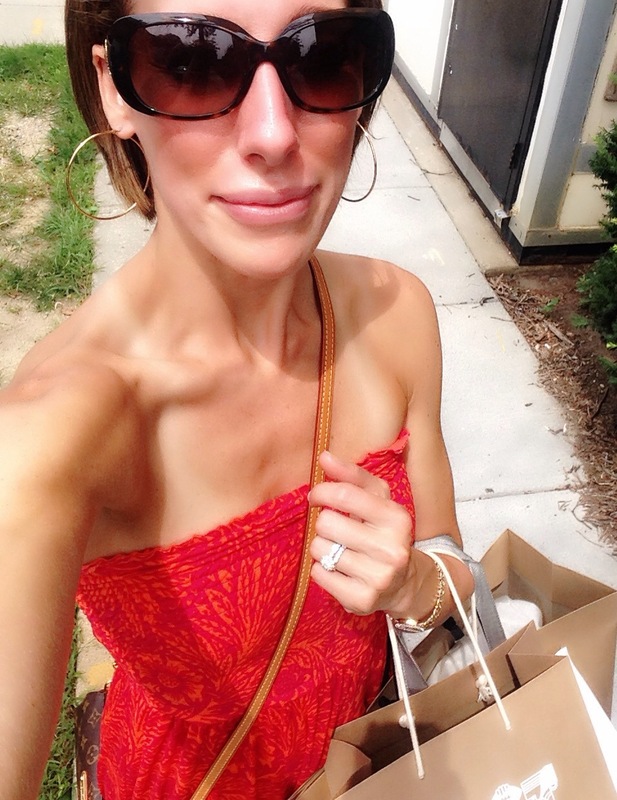 **Over-packer Travel Tip: My suitcase is always over-weight…especially on the way home after vacation shopping. 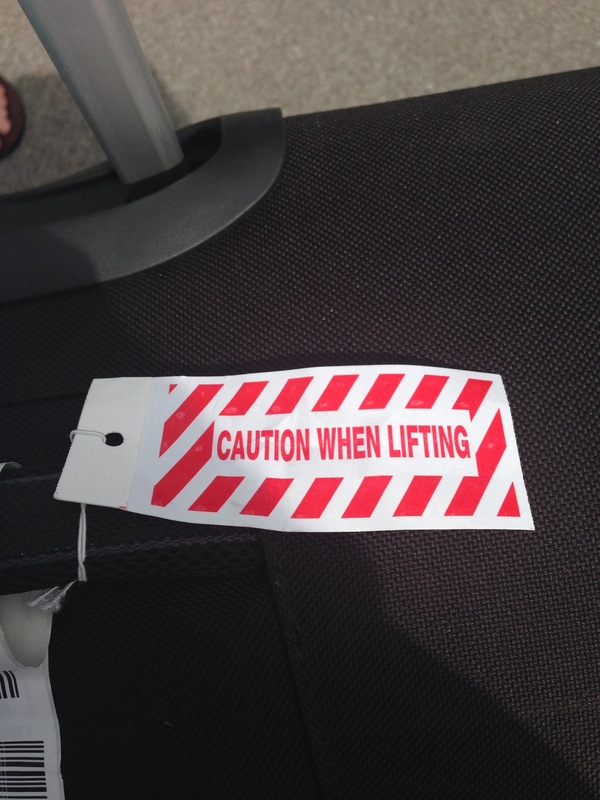 So, I check my bag at the curbside check-in. The employees are allowed to accept tips. Tip $5 (to avoid having to pay the $75 fee) and they almost always look the other way. Today, he even tagged my bag, but didn’t charge me. 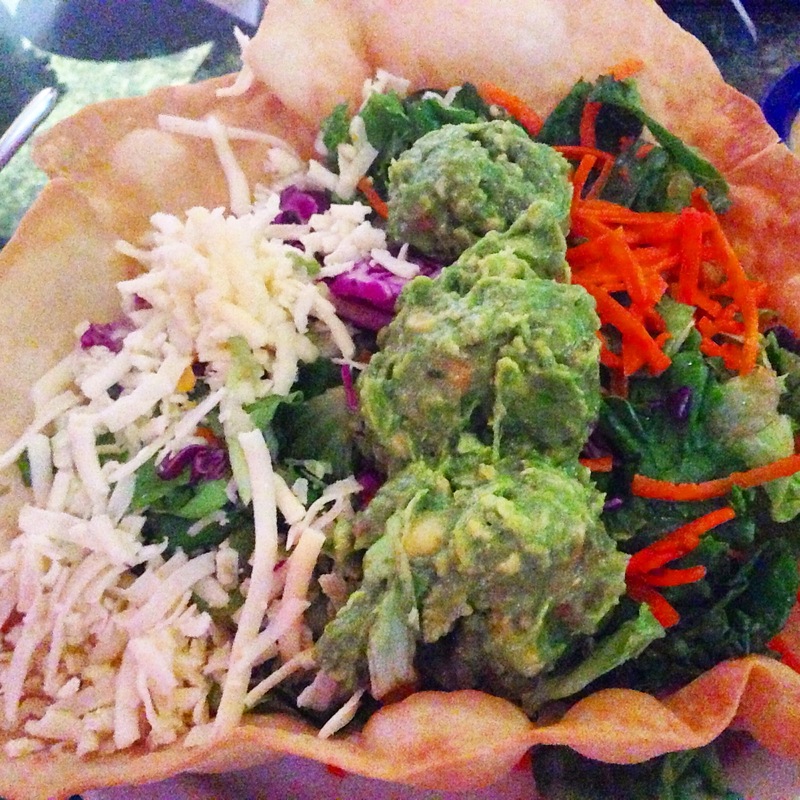 Once we got home, we stopped for dinner at Chuy’s for a guacamole taco salad…avocado goodness! It’s not on the menu, but they happily sub guac for the meat. 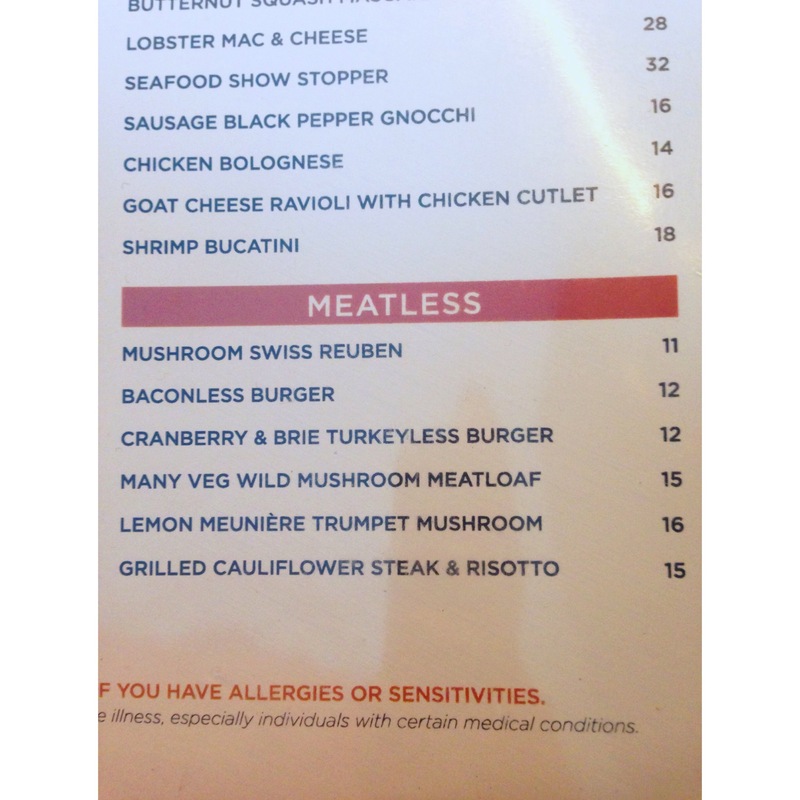 Yea for restaurants that accommodate vegetarians! We went to Fleet Feet to pickup singlets for this weekend’s Cumberland Plateau Stage Race. I couldn’t resist a new pair of Kigers! 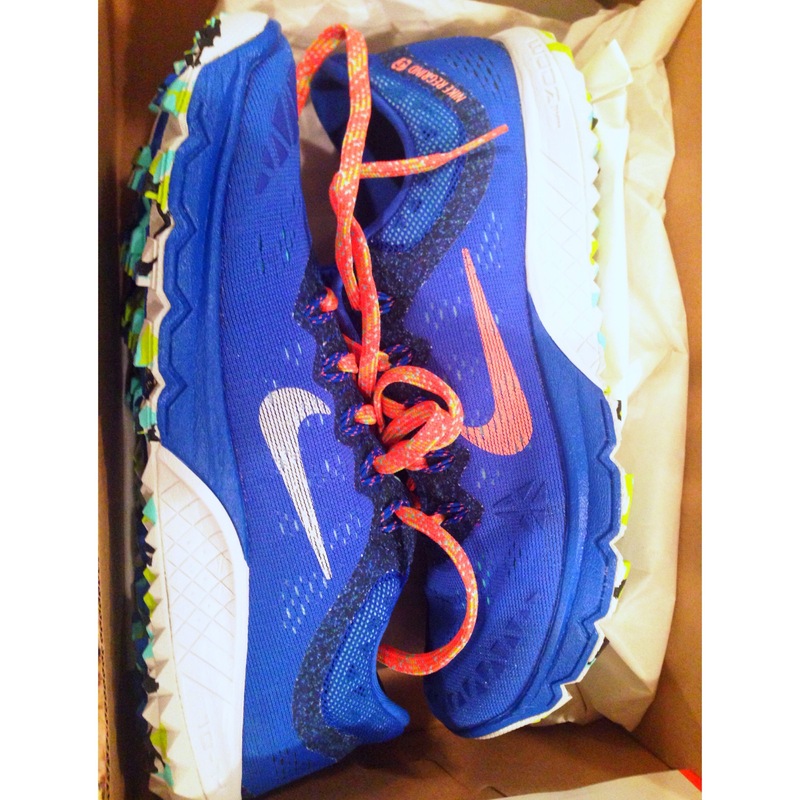 They’re my favorite trail shoe and I “needed” a new pair. 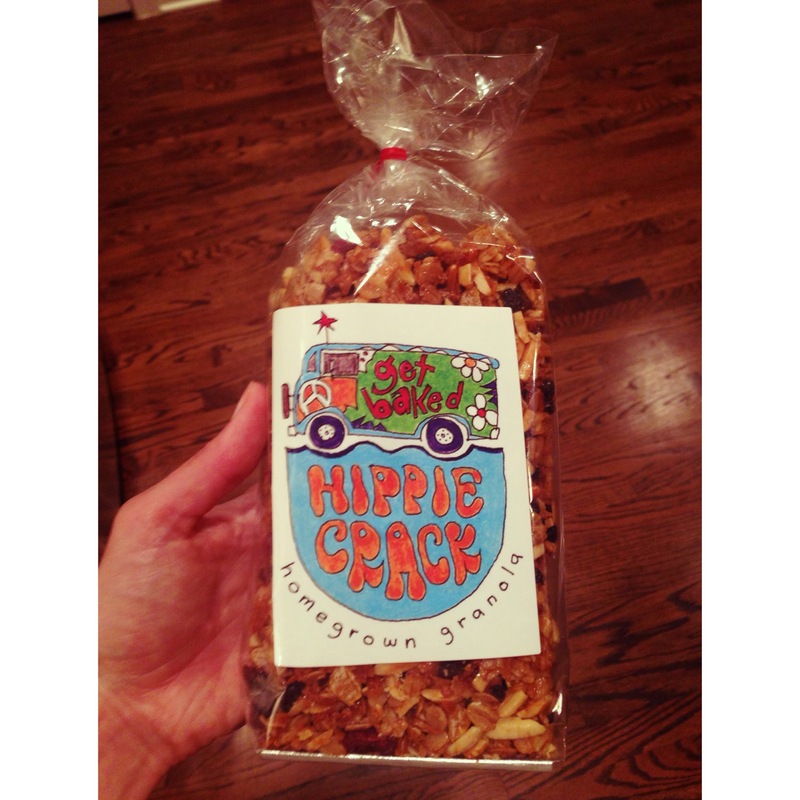 I ended the day with the perfect bedtime snack/ souvenir: Hippie Crack Granola from my favorite DC bakery, Baked and Wired! I don’t really like to repeat restaurants when I’m on vacation, but my husband asked if we could go back to the Founding Farmers. Our compromise was to have breakfast there this morning since we had already tried their dinner menu. He didn’t have any early meetings, so we ran there together. 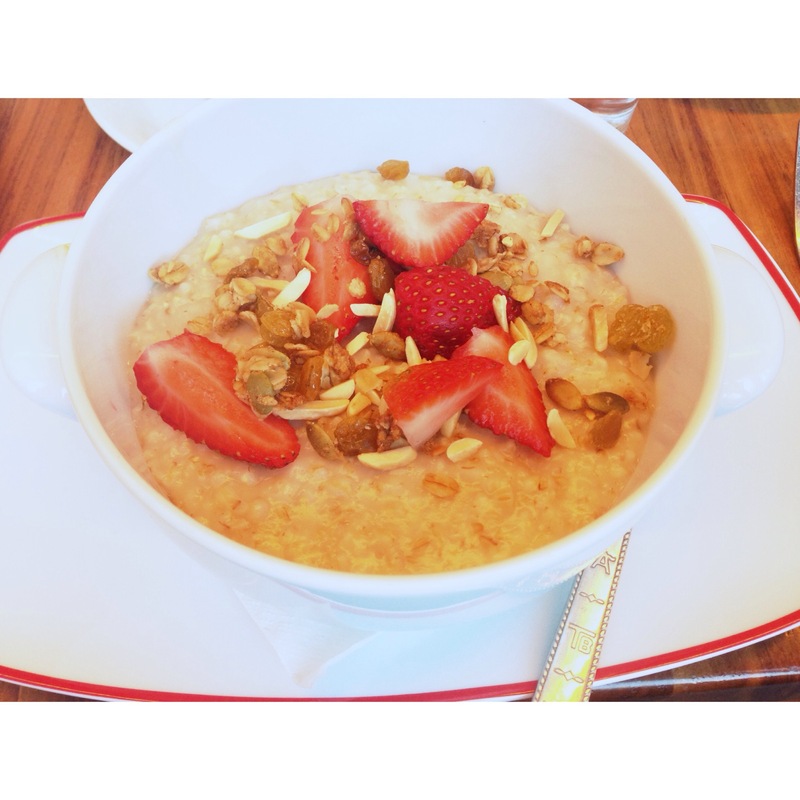 Check out this giant bowl of oats…literally the size of my head (and I have a big melon)! He headed back to the hotel to get ready for the day and I set out for the zoo. 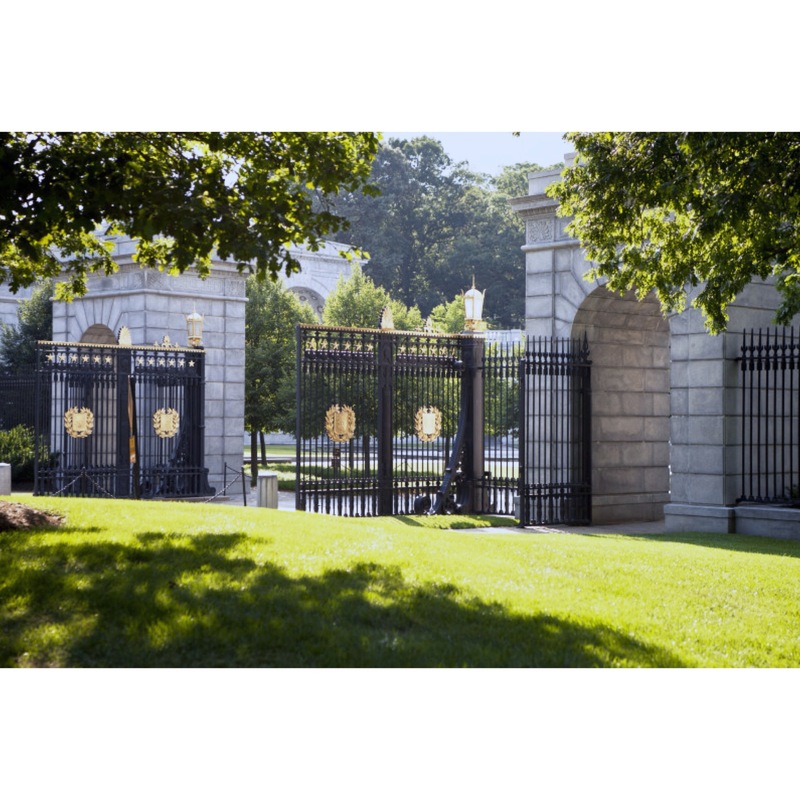 The Smithsonian’s National Zoo opens at 6am and is free. It was basically a ghost town during the early morning, so it was easy to cover some ground. 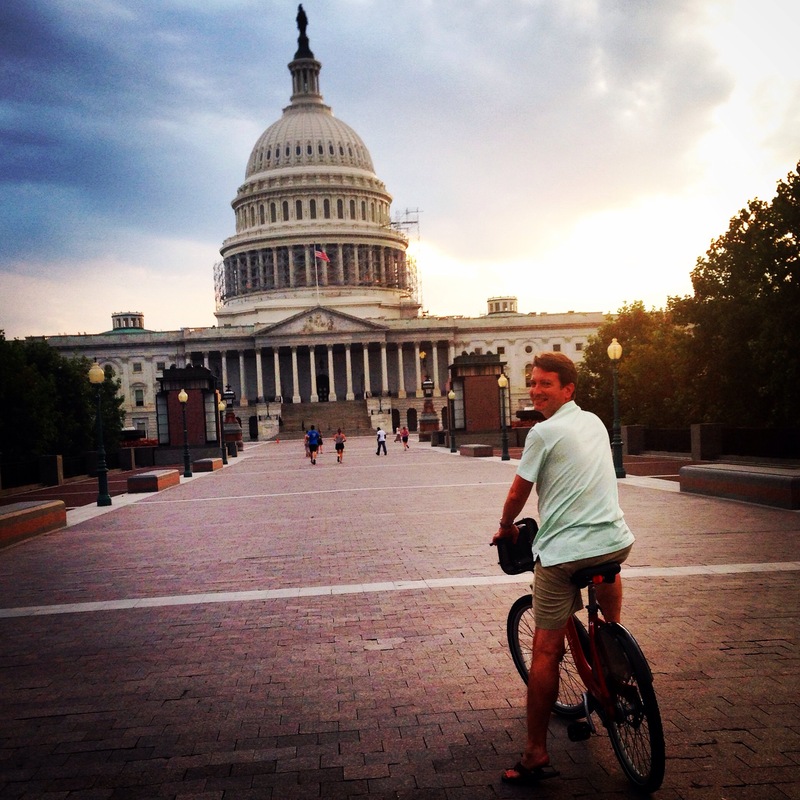 **Side note: I typically have a good sense of direction, but I keep getting turned around in DC. Thank goodness for google maps when I’m out running. With a few wrong turns, I ended up with 10 miles roundtrip. I went back to the hotel gym to lift, clean up and set out for lunch. 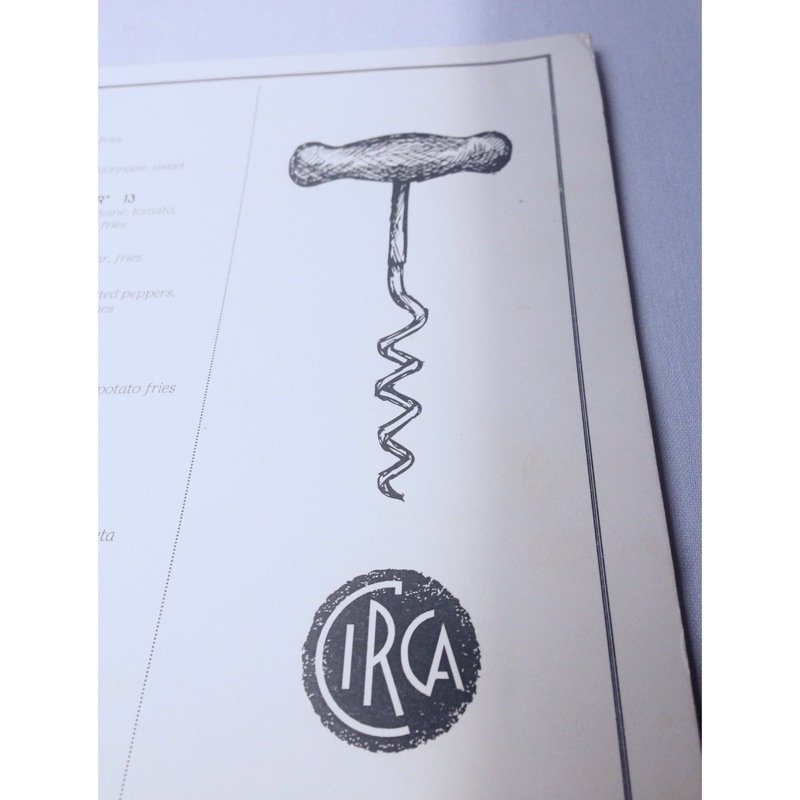 I had the best of intentions to get a salad at Sweet Green but couldn’t resist the patio at Circa. 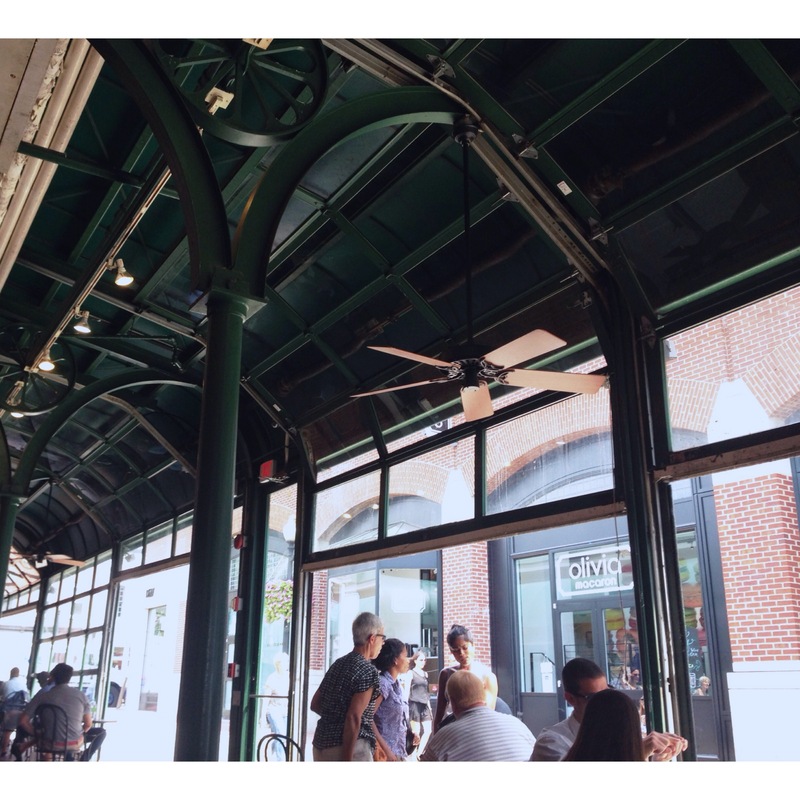 The weather was beautiful and the patio made for great people watching by GW. 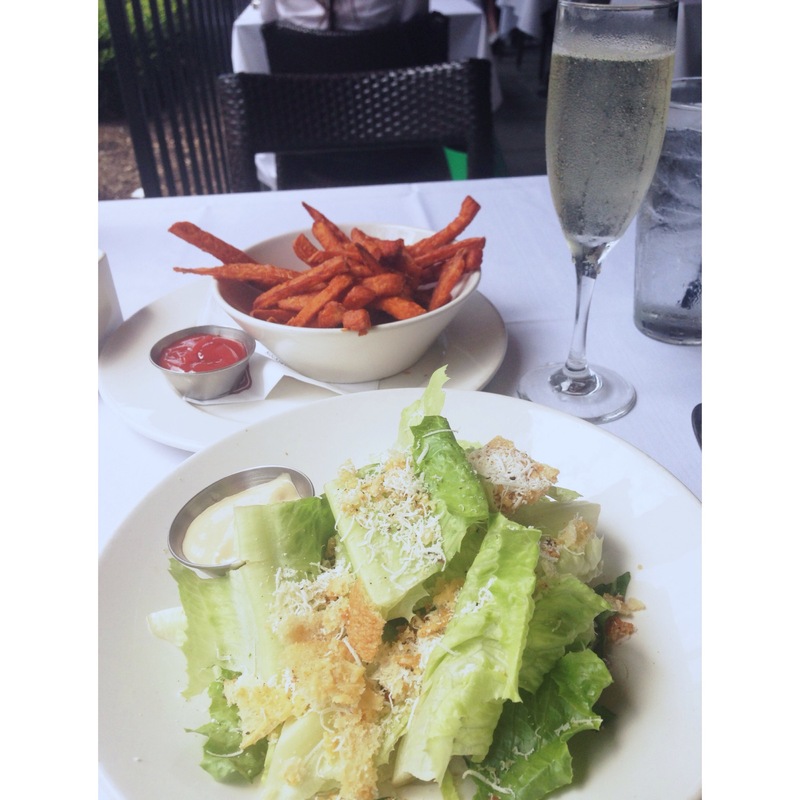 I still had a salad…it just happened to include prosecco and sweet potato fries. It’s all about balance. I earned those fries by walking back to the hotel instead of calling a car, right? Speaking of walking, DC calls for sensible flats. 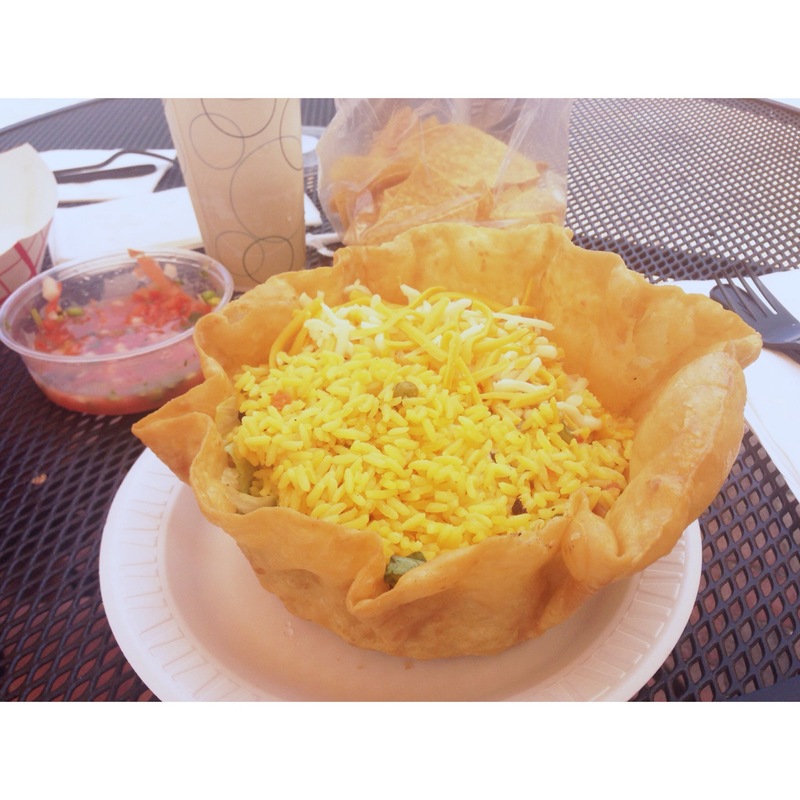 I have walked my tuchas off! For dinner, we had tapas at Bodega in Georgetown. I love tapas, because I get to sample a bunch of dishes. 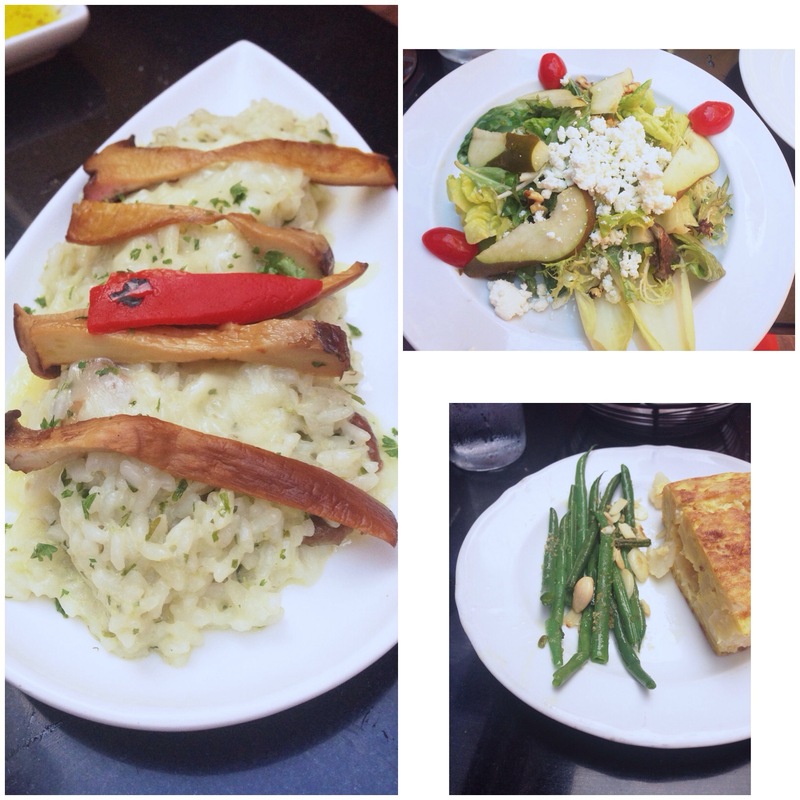 We shared the Field Green Salad with Pears, Spanish Tortilla, Creamy Mushroom Rice, and Green Beans with Almonds. 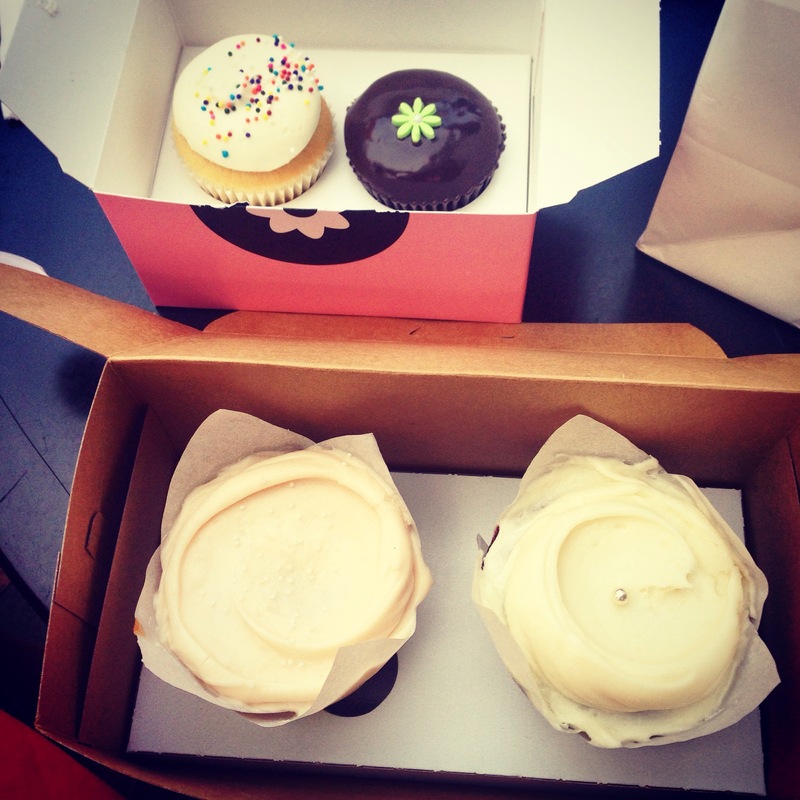 I did my best to eat lightly, because we decided to have our own (extremely scientific) cupcake battle between Georgetown Cupcakes and Baked & Wired. Both came highly recommended, so we just had to visit both shops. Let’s remember that there are no real losers in a cupcake showdown. 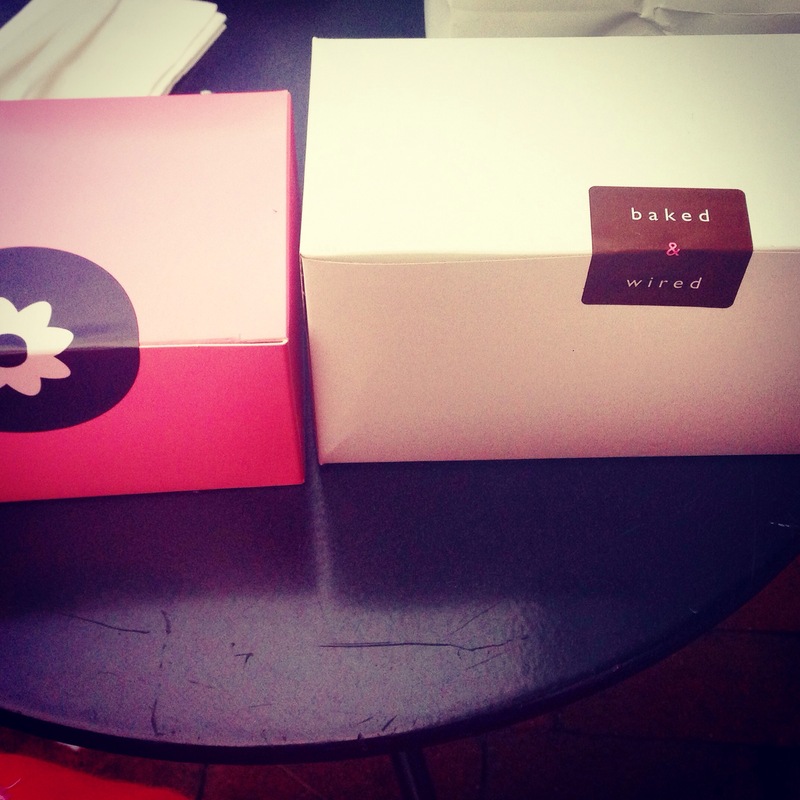 Hands down Baked & Wired was our favorite! I’m a frosting lover and the hubs loves the cake. We both preferred Baked and Wired. After all of those sweets, we rode some bikes along the river back to our hotel. 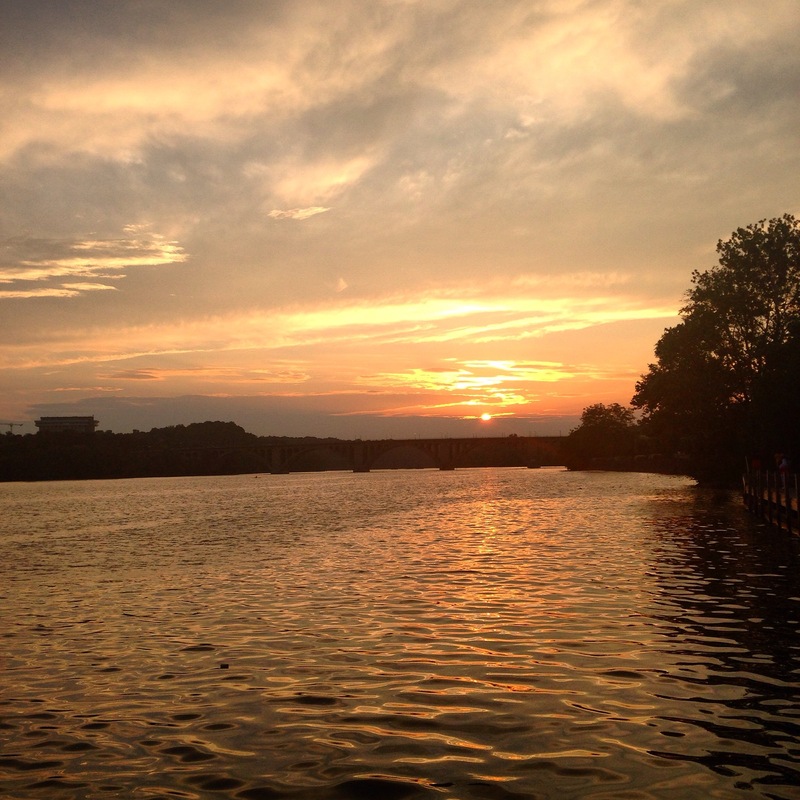 Check out the gorgeous sunset! 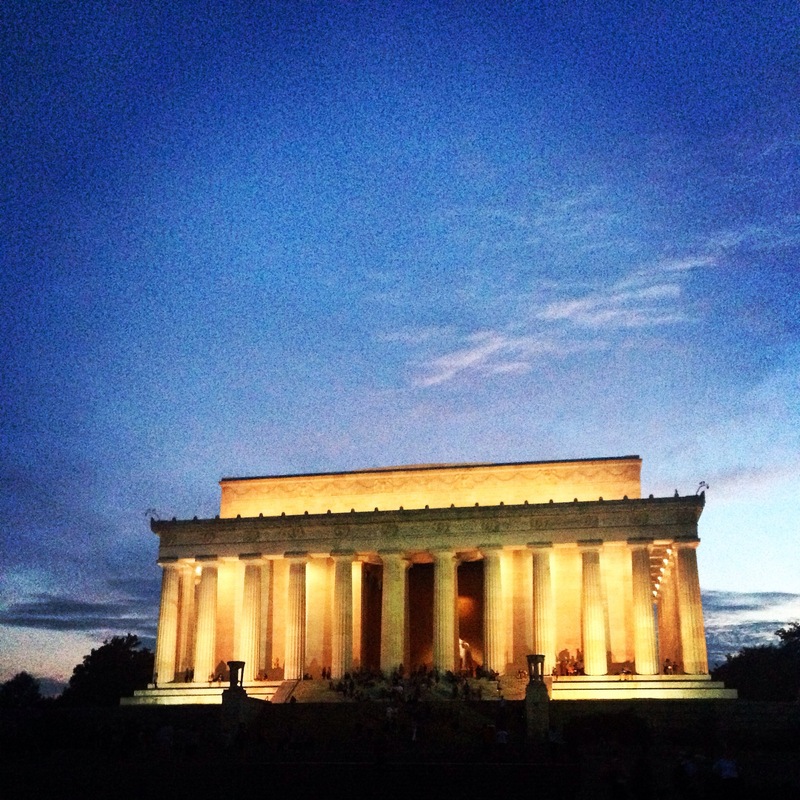 Our last stop was the Lincoln Memorial. My pictures don’t do it justice. Lastly and most importantly, my Grandparents are celebrating their 64th Wedding Anniversary today…absolutely incredible! Are you a sweet or salty lover? I am sweets all the way!!! 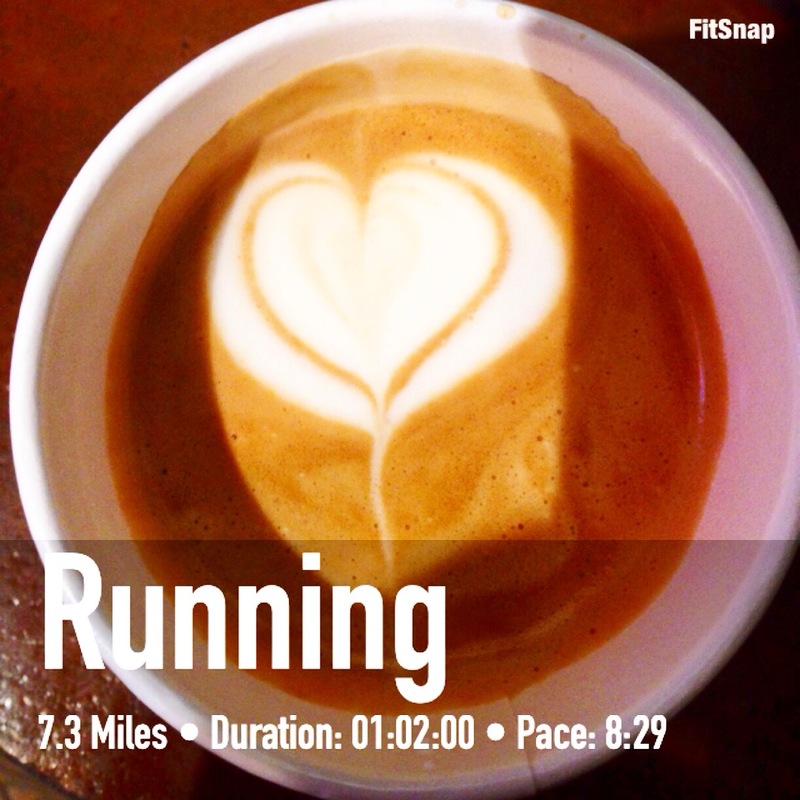 My favorite running is vacation running. 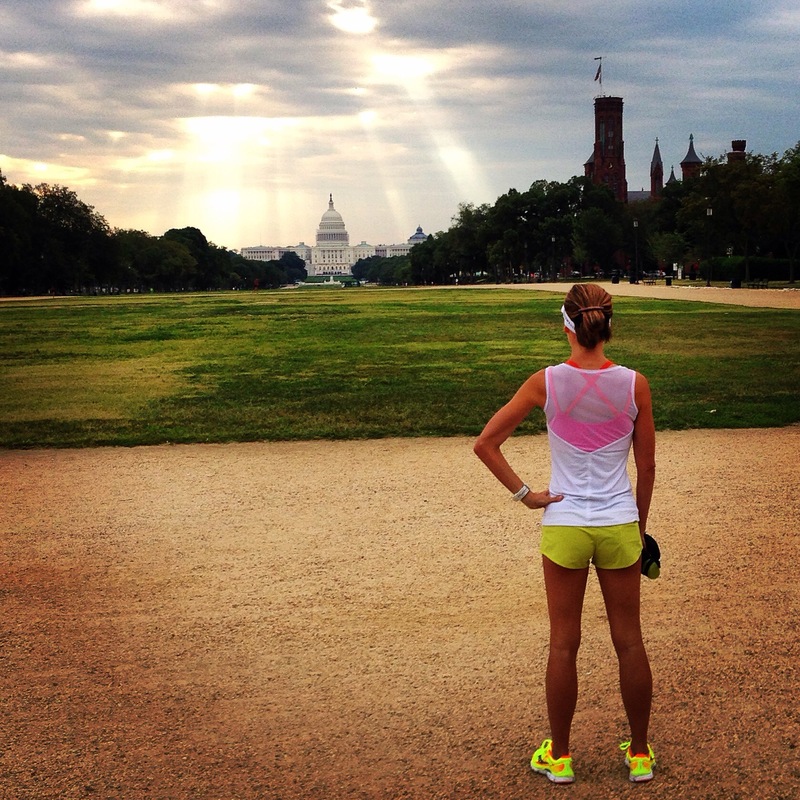 I feel like runners get to see the city in a way that most miss. I woke up early, excited to head out to breakfast. The sunrise was beautiful! 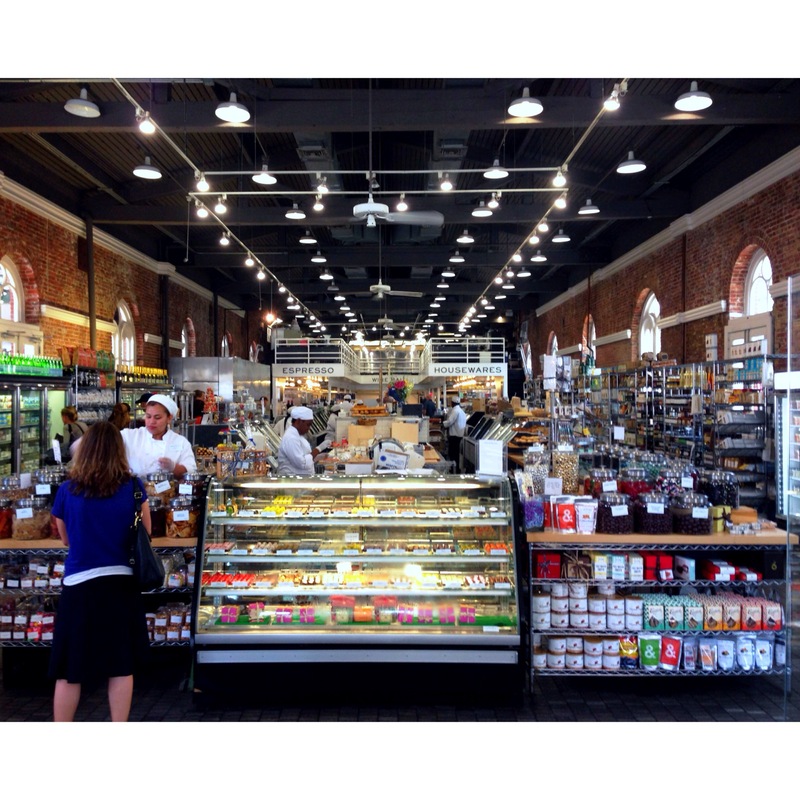 I headed out to Georgetown to hit up Baked and Wired. Thanks to everyone that recommended it! 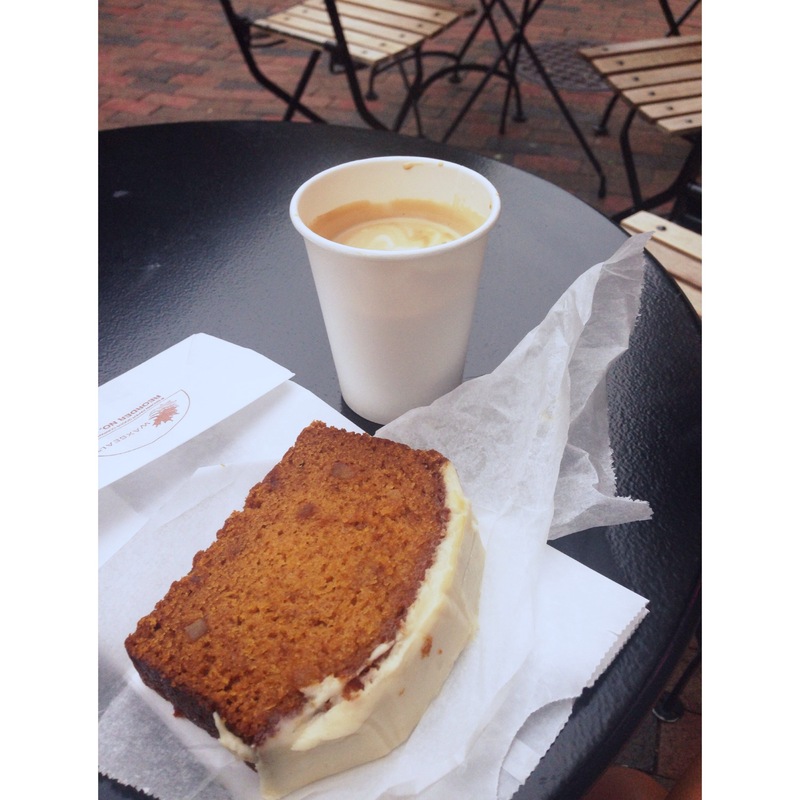 I went with a soy Intelligentsia cappuccino and a slice of pumpkin ginger bread. That cream cheese frosting was SO good! I always save my favorite part for last, so the final bites will be the best. 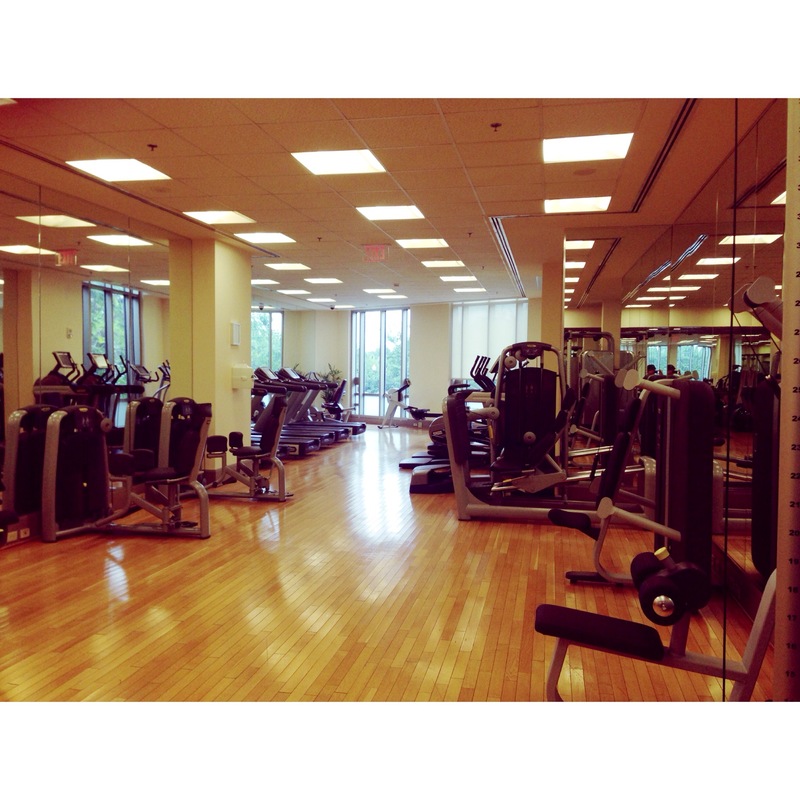 I ran back to the hotel and stopped by my gym for some lifting. 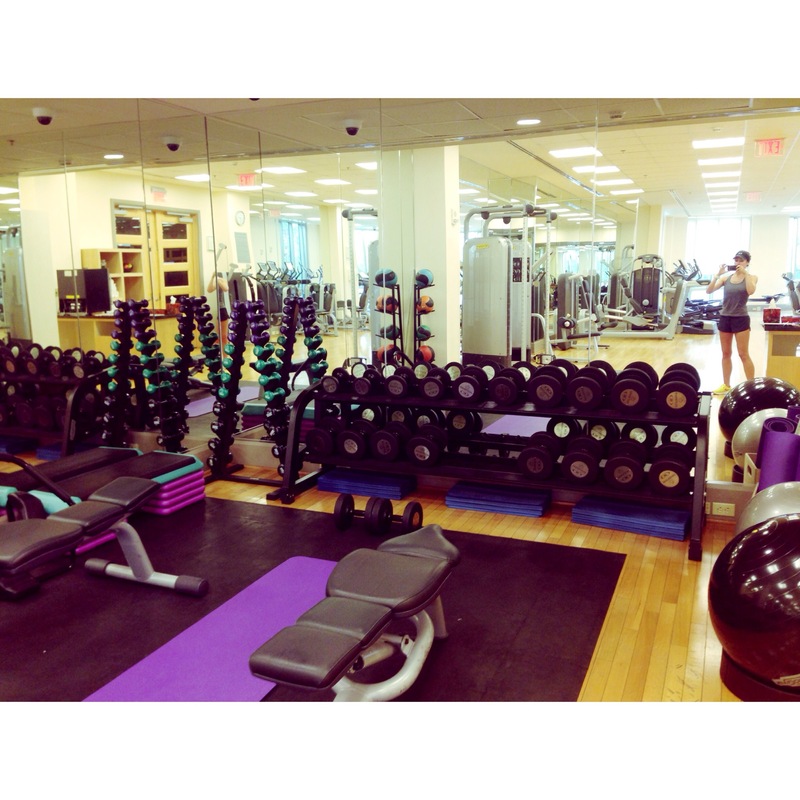 Isn’t this a wonderful hotel gym?! 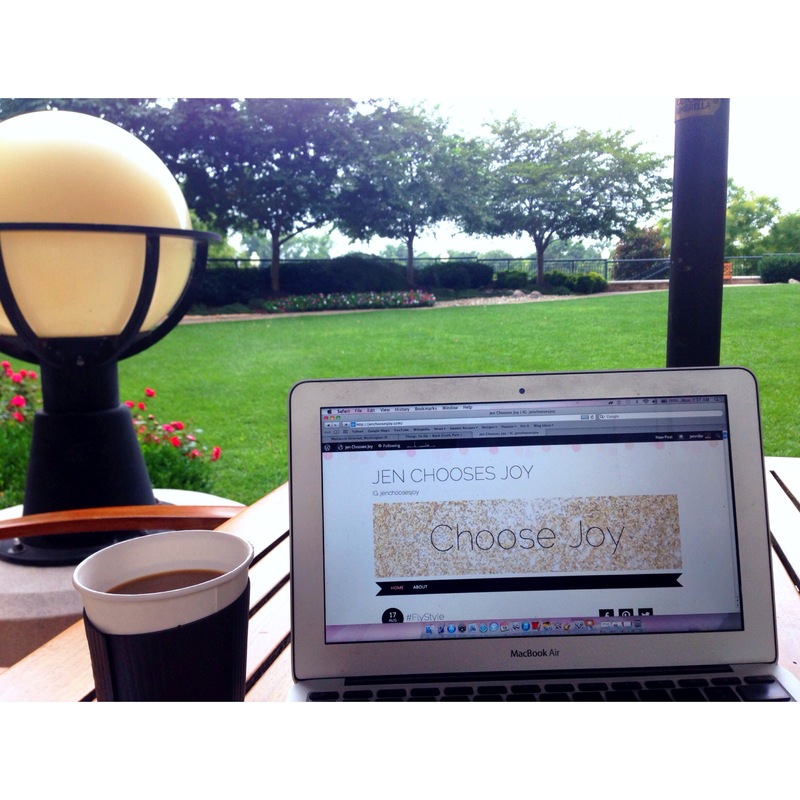 Grabbed another coffee (don’t judge) and worked on my blog in a pretty little courtyard. For the afternoon, I went to Georgetown to support the local economy. I was excited to see a Dean and Deluca. 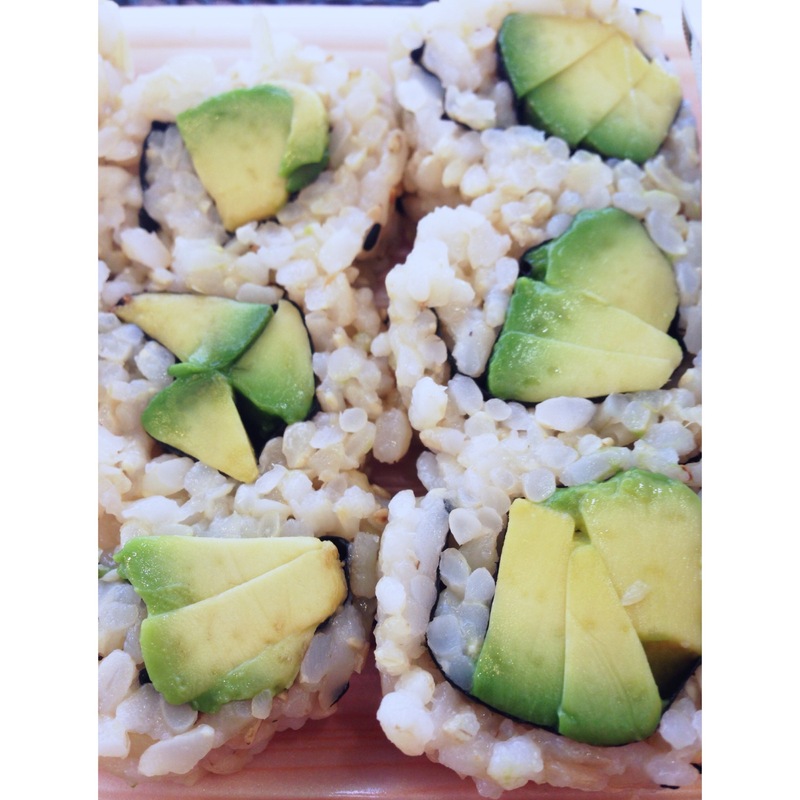 I picked up a brown rice avocado roll and enjoyed it on their patio. 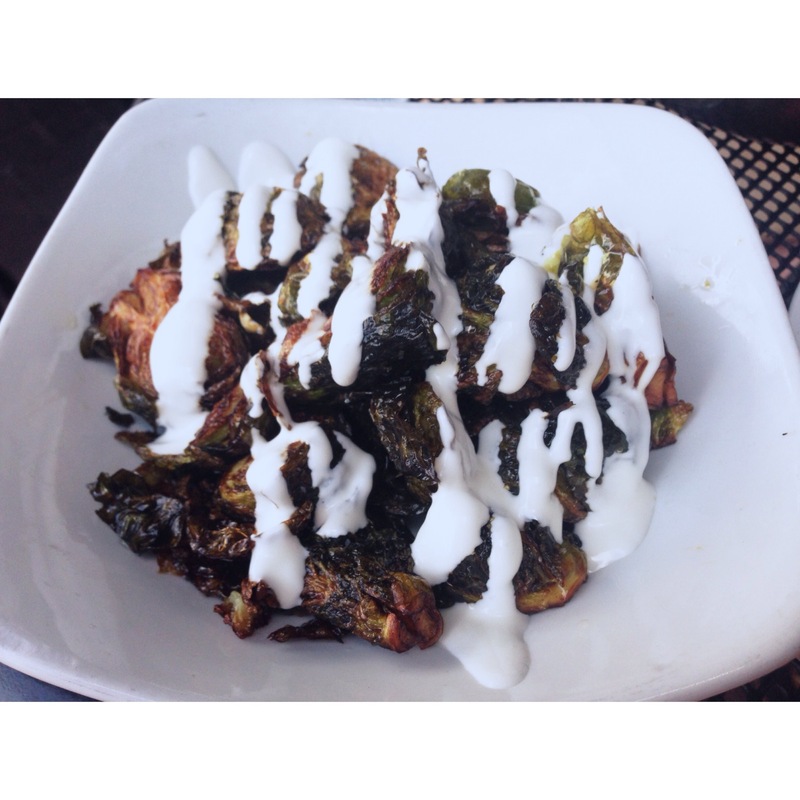 Once my husband finished his last meeting, we headed out for dinner on the Cava Mezze patio. Greek tapas. Loved it!! 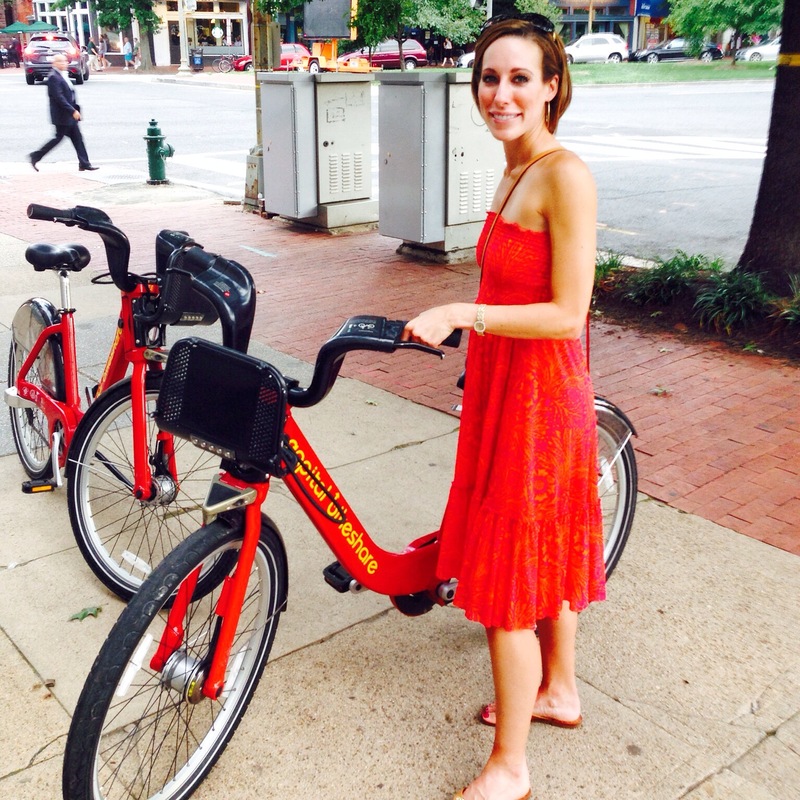 DC has a great Capital Bikeshare program, so we decided to take the long way back to our hotel on bicycles. Do you like to run when you’re on vacation or do you use it to rest? 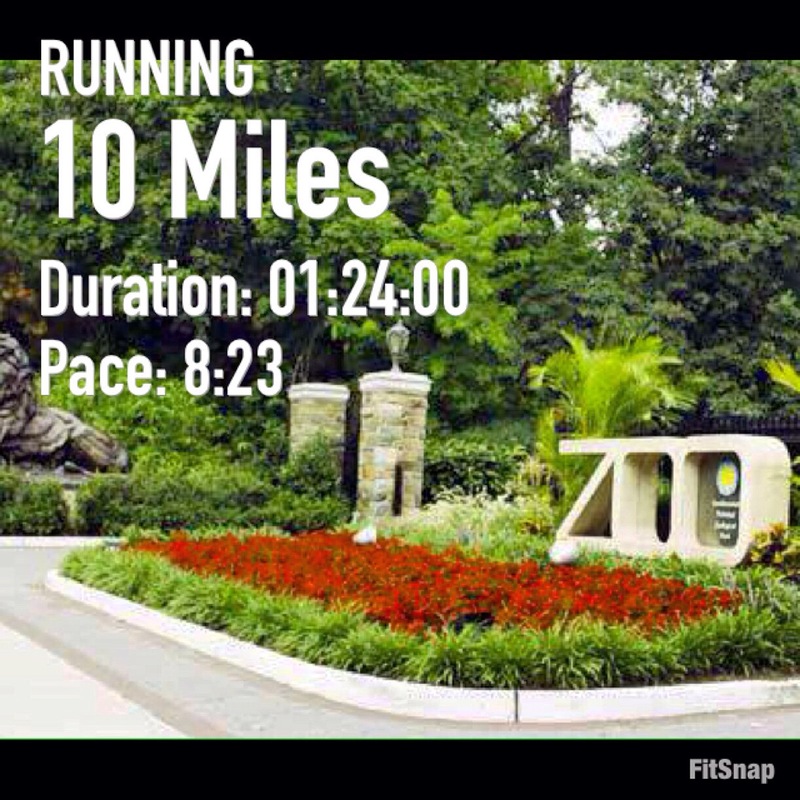 For our first day, we booked an 11 mile running tour through City Running Tours. 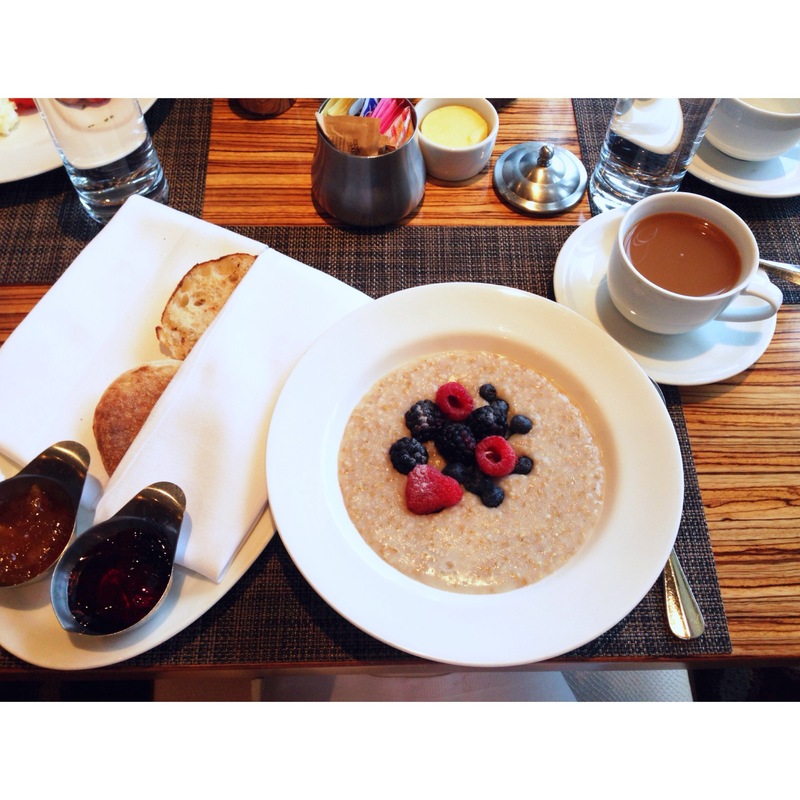 We needed an early breakfast, so we opted for ease and ate at our hotel. 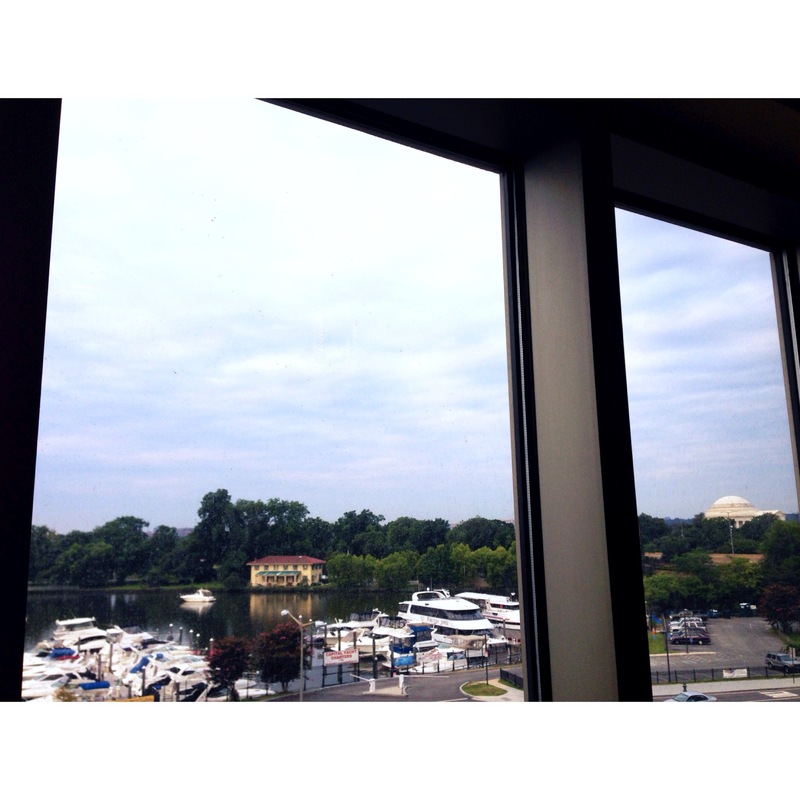 We had a lovely view of the Potomac. 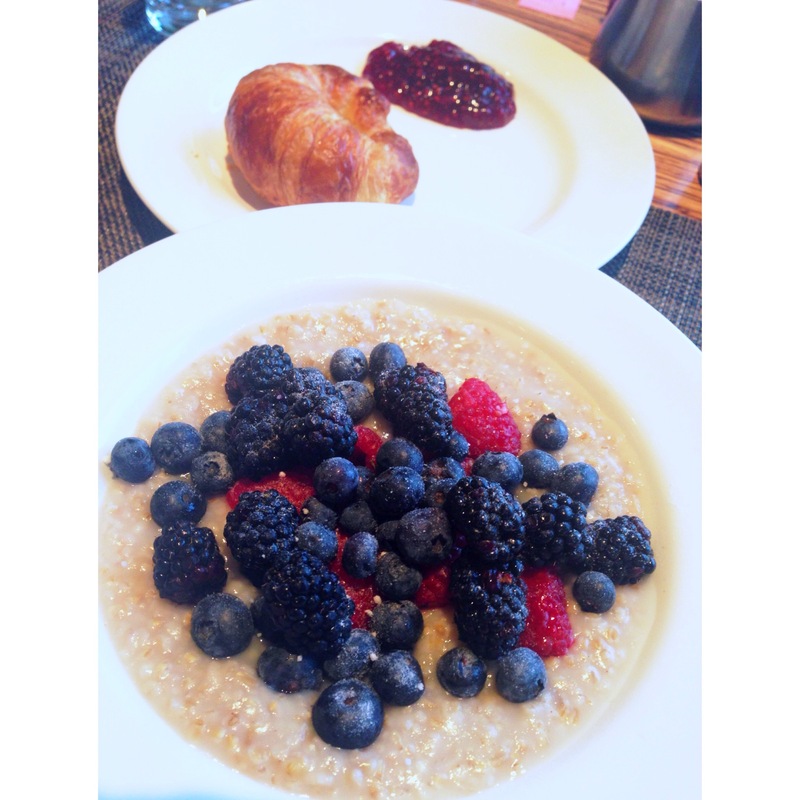 Shockingly, I had oats with berries. Isn’t it sweet how they tucked my English muffin in it’s own little blanket to keep it warm? 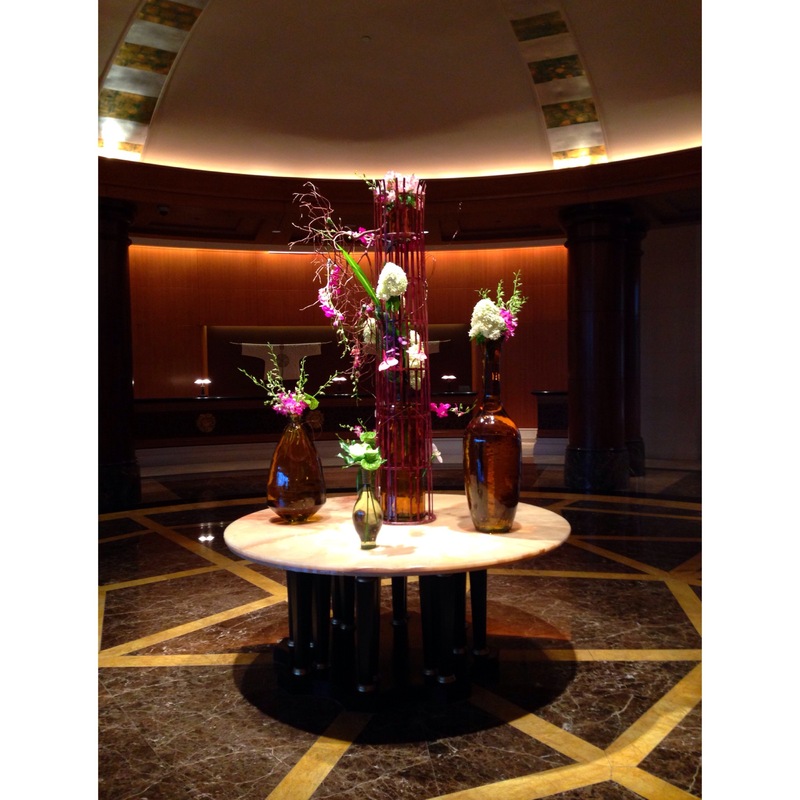 Pause to enjoy the beautiful flowers in the lobby…orchids and hydrangeas. 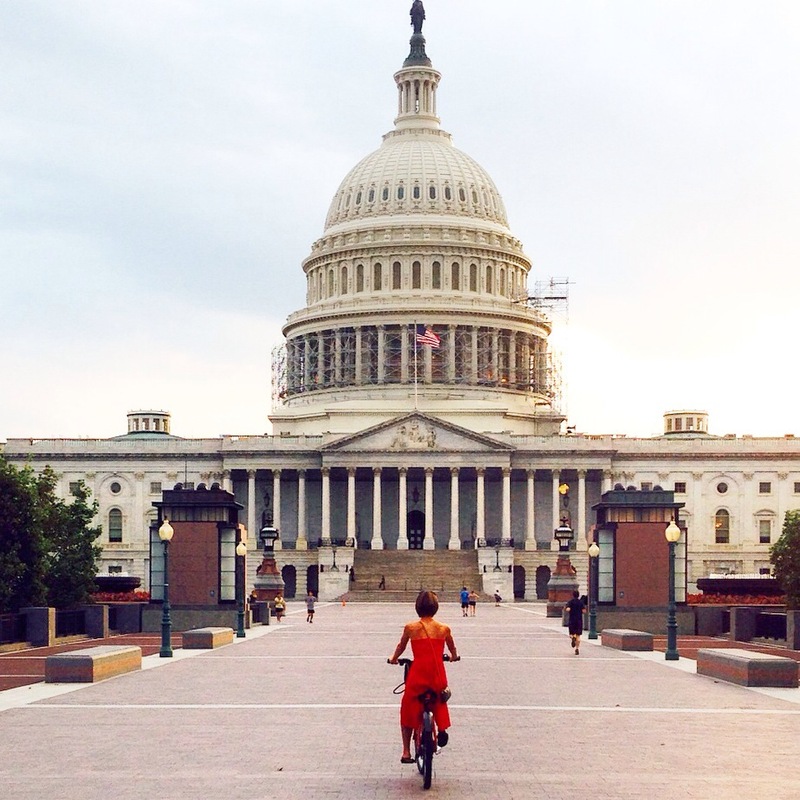 We met our guide and ran through the National Mall, Downtown to DuPont Circle, through Rock Creek, Georgetown, George Washington University, etc…You get the point. We ran a lot! When I travel, I always check to see if I can book a running tour. I think it is THE BEST way to learn your way around a new city, get a history lesson, and get some recommendations for your stay. 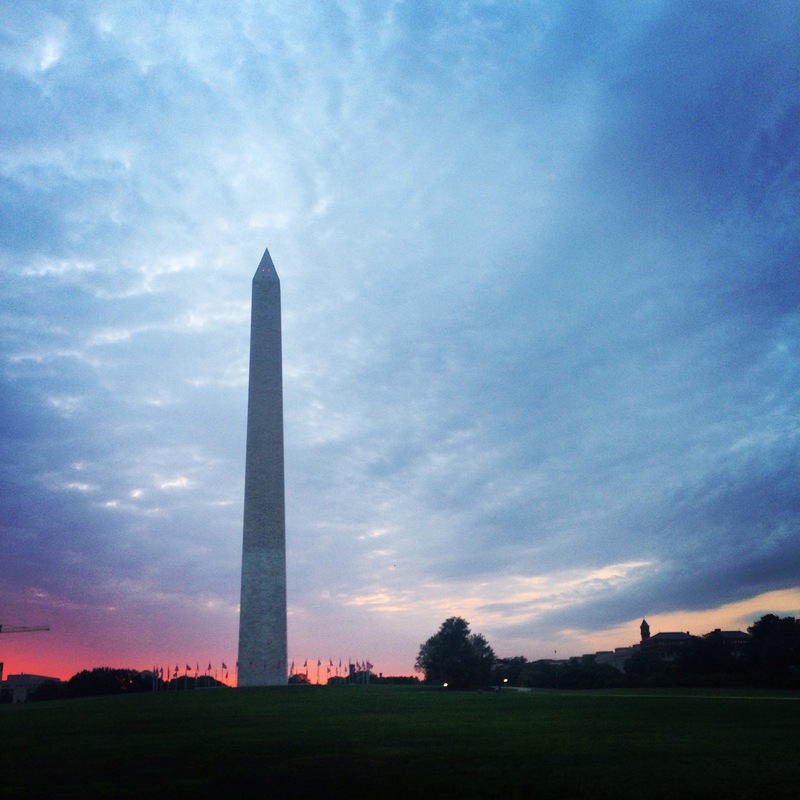 How stunning is our Capitol?! Awe inspiring. Oiselle Mac Roga, Cross Top Mesh Tank, and Strappy Bra. Saucony Kinvara 5. 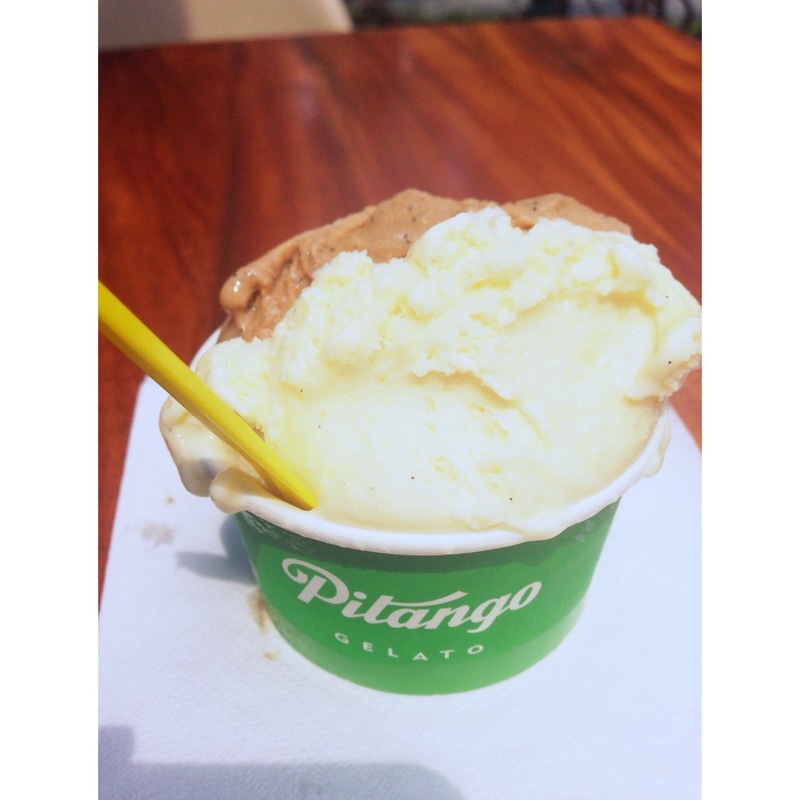 We opted for lunch at the Tortilla Cafe by the Eastern Market and stopped for gelato at Pitango (espresso and vanilla…heaven). I loved this little neighborhood and we happened to catch it when the roads were shut down for a street market. 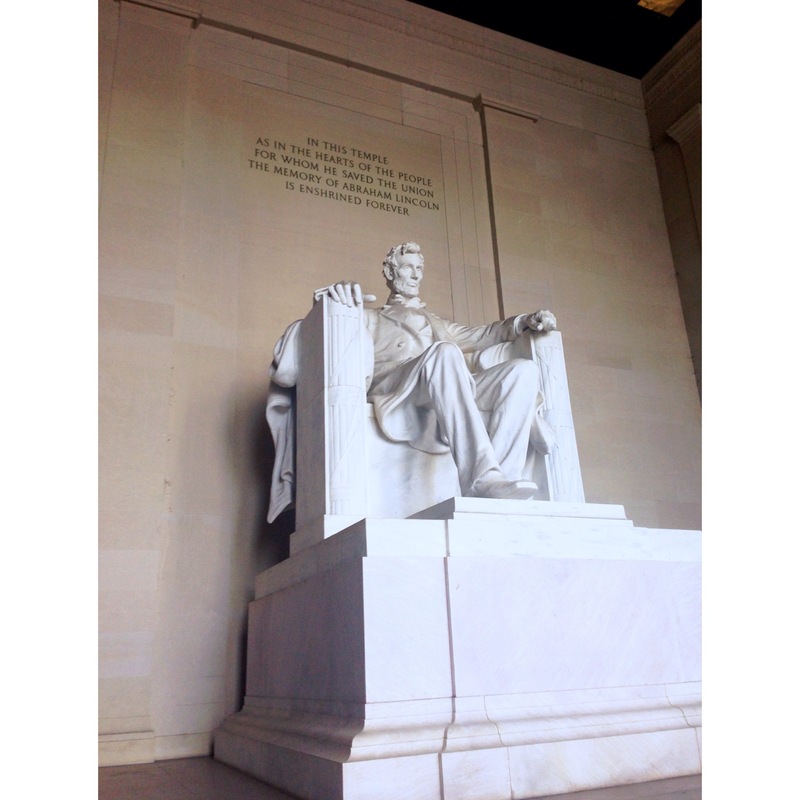 From there, we decided to walk through the national mall to see President Lincoln. Another 5 miles, but totally worth it. 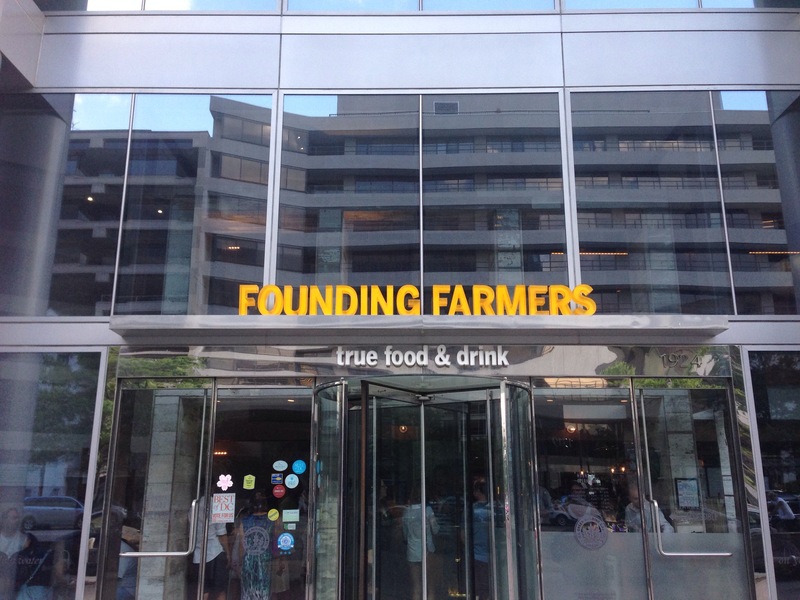 A bunch of folk recommended Founding Farmers…thank you! 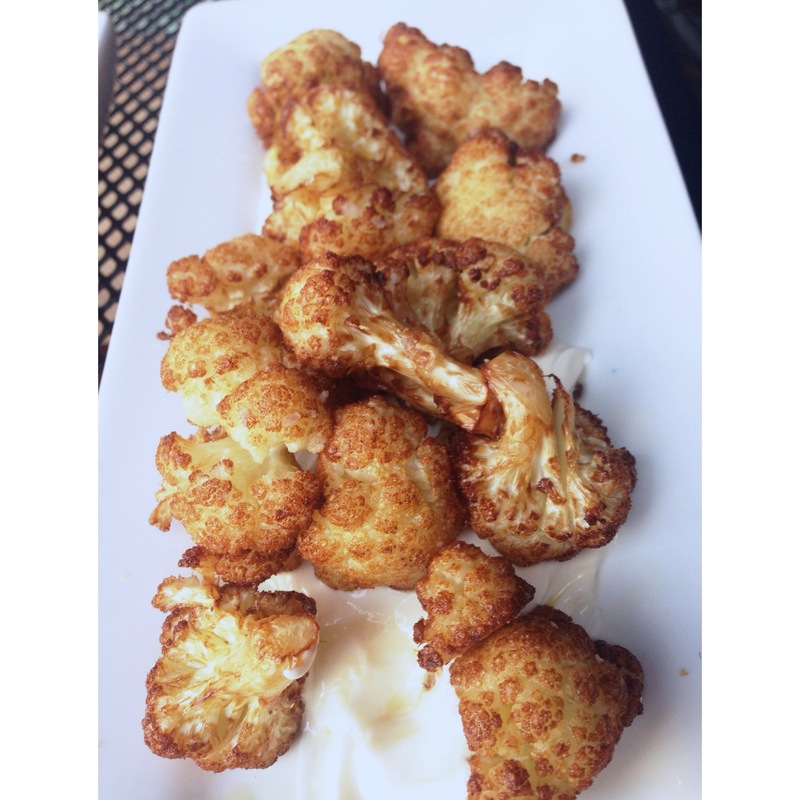 They have so many great veggie options…. 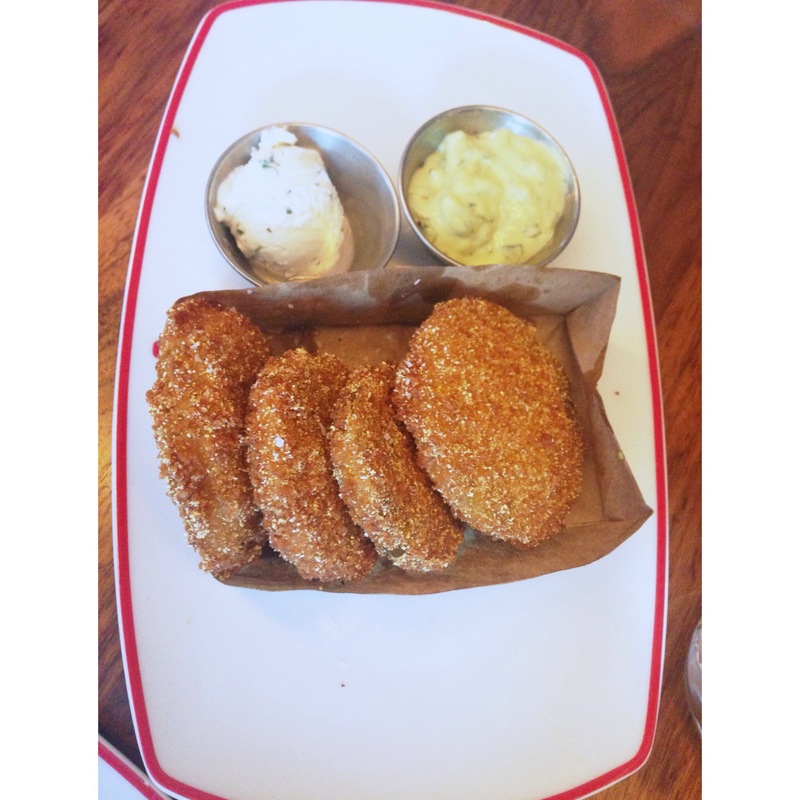 Everything we had was great, but these fried green tomatoes were some of the best I’ve ever had! And no vaca dinner is complete without dessert. 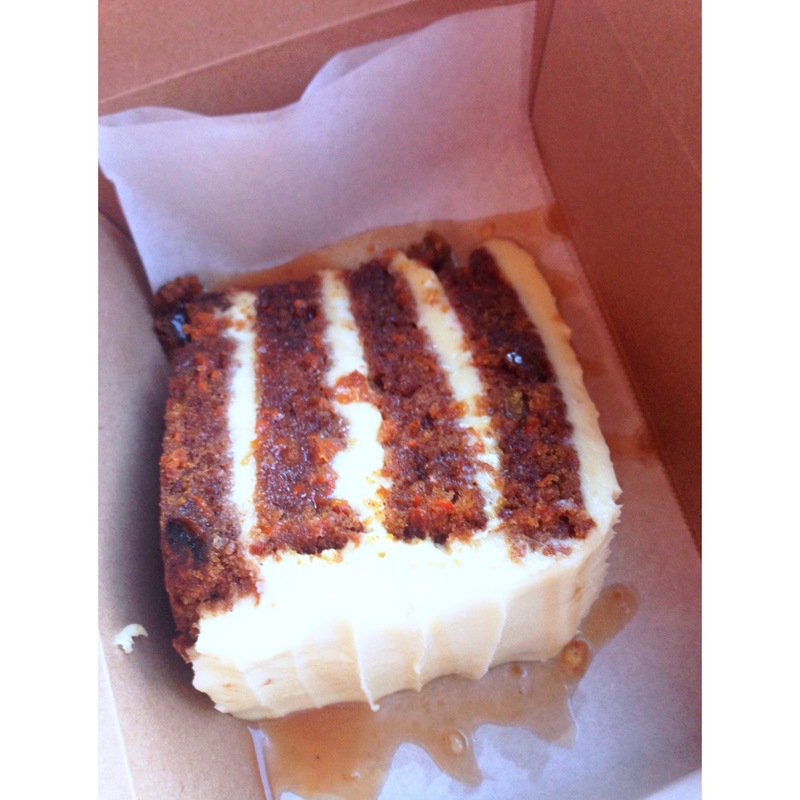 I was too full at dinner, so I took this gigantic slice of carrot cake to go. It rocked my world!